Teresa Bonnell is always looking at ways to improve companywide efficiency and responsiveness to customers in her role as VP Finance & Operations at Columbia River Knife and Tool® (CRKT). CRKT is known for distinction in design, innovation, and quality of its collection of knives, multi-tools, and accessories. As more and more of its customers shifted to digital strategy, Teresa was looking to new solutions to help the team meet the needs of retail customers and provide individual shoppers with information they are looking for. CRKT and Salsify have been working together since June 2015. The company has nearly 5,000 unique SKUs across its product collection. They sell products online at CRKT.com and Amazon, in big-box retailers, such as Walmart, Target, national sporting good and hardware chains, including REI, Lowe’s, Dicks Sporting Goods, Cabela’s, and many local hardware and army supply stores across the country. We asked Teresa five questions about CRKT’s recent success and her outlook on digital strategy for CPG brands. 1. What’s your advice to other brands when it comes to building a digital strategy? If Amazon and Walmart are your customers, and all the sporting goods suppliers are your customers - you have to address digital and get on their websites. Investing in your digital brand presence is as important as in-store merchandising. But for digital sales, the timeframe is more accelerated. You have 2 minutes or less to win a sale online. In a store, you have product and banners to grab people’s attention in the aisle. Online, its product content that grabs their attention and shoppers move much faster from product to product. We have to keep updating our content across the web with video and a minimum of three images per SKU to make it compelling for online shoppers and stay competitive. Amazon has forced the entire industry to be aware of how we craft product pages, their formula is always changing. They’ve forced us all to think about optimization and high-quality digital content. 2. How did you standardize product content across your organization? We were struggling with multiple versions of the truth internally. Our marketing, supply chain, and product development departments often had conflicting data. Is the product onyx or black? Which department has the accurate product dimensions? We needed a central place where we could assign each aspect of a product’s specifications to the correct individual to maintain and ensure accuracy of the data. We set up Salsify as our central source of the truth. Now, each department can update the data they are responsible for and every stakeholder has access to the relevant and most up-to-date information across our company. With this standardization of content we have all but eliminated errors in the inconsistencies between our printed catalog and on the web. We’re no longer facing issues of surfacing discrepant data on our public-facing channels. It’s a better and more consistent customer experience and there’s no more time spent chasing down the correct version of product data. 3. How did you improve the process for item set-up and content pushes to retailers’ sites? We used to run spot fire drills each time one of our retail customers had an updated content request. It would take two weeks to compile the data to go out to that retailer. Then we’d have a second fire drill to understand the retailer’s exact content requirements and fit the content to their needs. Our workflows are much easier now: Salsify is the source of truth for our product data. We use its channel set-up feature to map and transform the data to each retailer’s data specific requirements. We can save the data sets for reuse and can update feeds quickly when information changes or needs a refresh. Salsify built a GDSN connector we also use to automate data integration for some of our key retailers that use GDSN. Prior to that automation it was a huge headache for our supply chain. Our team easily saves 80 hours over the course of a year with the Salsify/GDSN connector. The overall speed of item set-up and content updates has allowed us to stop racing from one fire to another. We have huge new product releases twice a year in addition to a constant refresh of updated product images, videos, and better content. We wouldn’t keep pace without this streamlined workflow and ability to send out our data from one reliable place. The speed in which we can meet our customers’ needs faster resonated value across our whole company. 4. What additional innovations do you use in your go-to-market strategy? In early days of digital, we were so focused on being responsive to retailer requests there were other things that we didn’t consider. Once our data was clean and we didn’t have the constant fire drills we could think bigger picture. We are embracing Salsify’s digital catalog feature to generate online catalogs. We also built a new product order form and price lists for our trade shows. It is really easy to generate automatically and keep it current for each event. 5. What keeps you up at night? MAP pricing. The minimum amount that resellers agree not to advertise below is incredibly difficult to get control of in a world of Amazon resellers. A reseller can pop-up for three days with price reductions a third below MAP and then drop away. It’s a constant whack-a-mole to chase illegitimate sellers and pricing that is much too low and detrimental to our brand. The industry at large is still figuring out the most effective strategy for tackling this. 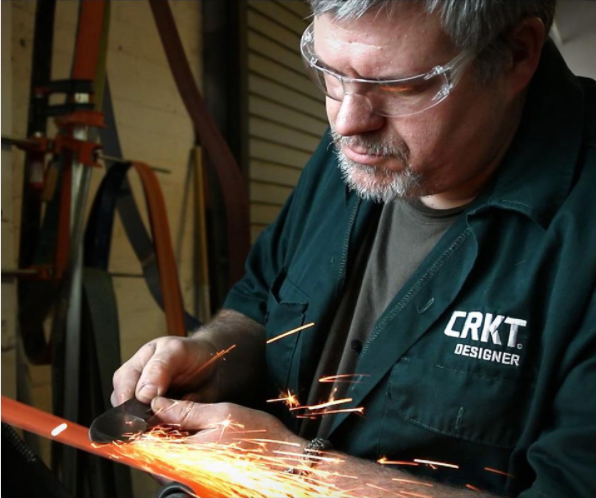 At CRKT, we use product content to emphasize that we sell the legitimate product, we guarantee merchandise bought directly from trusted sellers, and do all we can to keep our digital content compelling so shoppers can see the difference and quality as they shop.